Zoologist, media consultant, and science writer, Dr Karl Shuker is also one of the best known cryptozoologists in the world. Author of such seminal works as Mystery Cats of the World (1989), The Lost Ark: New and Rediscovered Animals of the 20th Century (1993; greatly expanded in 2012 as The Encyclopaedia of New and Rediscovered Animals), In Search of Prehistoric Survivors (1995), The Unexplained (1996), Mysteries of Planet Earth (1999), The Beasts That Hide From Man (2003), and more recently Extraordinary Animals Revisited (2007), Dr Shuker's Casebook (2008), Karl Shuker's Alien Zoo: From the Pages of Fortean Times (2010), Cats of Magic, Mythology, and Mystery (2012), Mirabilis: A Carnival of Cryptozoology and Unnatural History (2013), Dragons in Zoology, Cryptozoology, and Culture (2013), A Manifestation of Monsters (2015), Here's Nessie! (2016), and what is already considered to be his magnum opus, Still In Search Of Prehistoric Survivors (2016), his many fans have been badgering him to join the blogosphere for years. The CFZ Blog Network is proud to have finally persuaded him to do so. IMPORTANT: To view a complete, regularly-updated listing of my ShukerNature blog's articles (each one instantly clickable), please click HERE! IMPORTANT: To view a complete, regularly-updated listing of my published books (each one instantly clickable), please click HERE! IMPORTANT: To view a complete, regularly-updated listing of my Eclectarium blog's articles (each one instantly clickable), please click HERE! IMPORTANT: To view a complete, regularly-updated listing of my Starsteeds blog's poetry and other lyrical writings (each one instantly clickable), please click HERE! 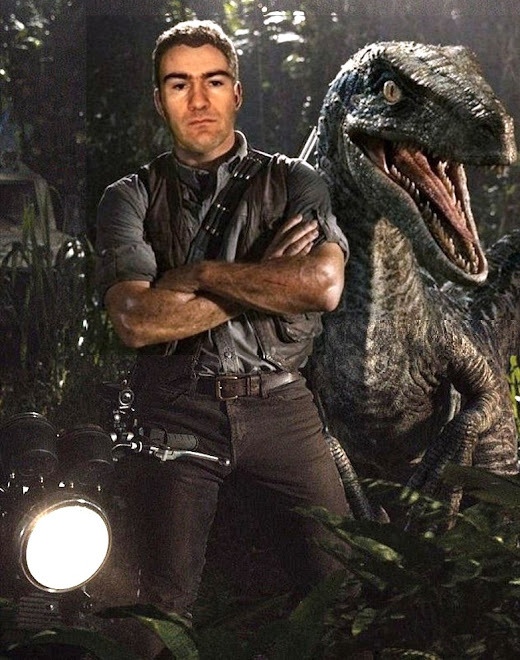 WELCOME TO SHUKERNATURE - ENJOY YOUR VISIT - BEWARE OF THE RAPTOR! I'll Kill you if you Quote it! Except that in its original bovine connotation, it could and has done – at least twice, in fact! 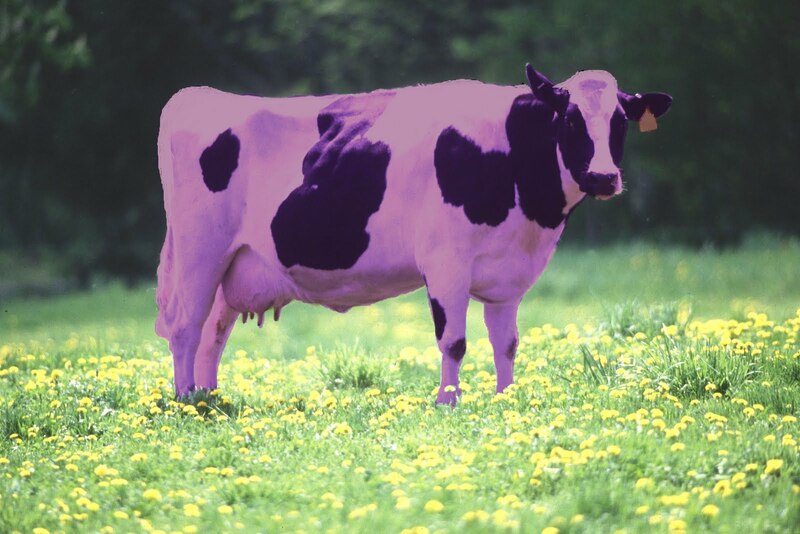 In 1948, the head of Florida's State Nutrition Laboratory was very bemused by the discovery that one of the cows present in a herd grazing on poor land in this U.S. state was purple in colour. Needless to say, this herd and in particular its singularly-shaded member soon attracted detailed scientific attention, and the cows were all found to be very mineral-deficient. Following a course of feeding upon a natural, balanced diet, however, they became much more healthy and appeared in no way different from any others – all except one, that is. 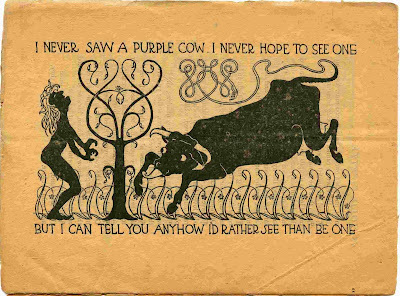 For although it too became much more healthy, the purple cow never lost its extraordinary hue. And despite close study, neither the reason for its remarkable colouration having arisen in the first place nor the reason for its persistence following a proper diet was ever uncovered. Now, moreover, as I learnt today, courtesy of an online news video kindly brought to my attention on Facebook by Lazarro Baca, there is a second specimen on record. 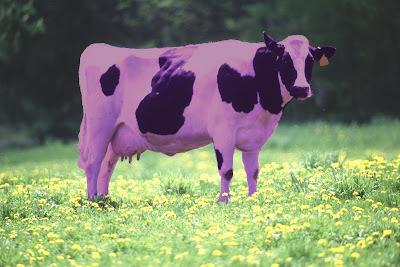 On 17 January 2012, media worldwide published reports of a certain male calf lately born in Jezdina - a small mountain village close to the Serbian city of Čačak - which is attracting considerable local interest and publicity, due to its remarkable purple colouration. Having said that, in videos and still photos of it that I have seen so far, such as those included in this present blog post of mine, the animal variously looks grey and white or very pale lilac and white. In view of the appreciable attention that it is receiving, however, I am assuming that it appears more purple in colour when seen in the flesh. 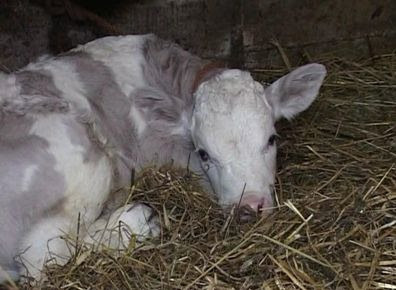 Its owner is farmer Radojka Glavonjić, who has stated that his unique calf will certainly not be sent to the slaughterhouse. Due to its resemblance to the famous purple cow emblem of Milka chocolate, Radojka would have named it Milka had it been female, but as it is male, he is toying with the idea of naming it either Milkan or Sladjan ('Cutie' in Serbo-Croat). 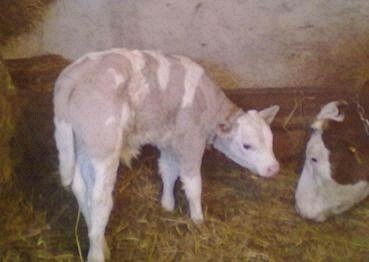 Veterinary surgeons who have examined this calf claim that it is perfectly healthy, and consider its unwonted colouration to be of genetic rather than external origin. It will be interesting to see whether the animal retains its purple shade as it matures. "I am not completely sure if this is an urban legend, but apparently many children who lived in towns and had never seen a cow in life really assumed that cows are purple, as a result of the wide precence of purple Milka cows on tv and on chocolate." A short video of Serbia's purple calf can be viewed on YouTube here. WHATEVER HAPPENED TO THE PURPLE MACAW? TWO YETI CORPSES – MUMMIFIED BUT MISSING? THE NEW GUINEA THYLACINE - CRYING WOLF IN IRIAN JAYA? Visit Karl's profile on Pinterest. In Accordance with Title 17 USC Section 107, any copyright material on display here is under Fair Use without any claim of ownership or any profit accrued by the display. The Material herein is for non-profit educational or criticism puposes only. 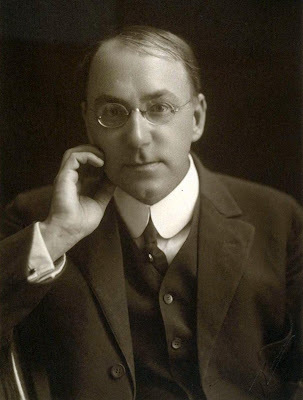 Notwithstanding the provisions of Sections 106 and 106a, the fair use of a copyrighted work including reproduction and distribution of said material as specified in that section, for purposes of education, news reporting, commentary or criticism, scholarship or research, to persons who have expressed a prior interest in receiving such material for such purposes, is NOT an infringement. Also: Unless stated otherwise, all illustrations in ShukerNature blog articles that are credited to a named copyright owner plus Wikipedia have been made available by the copyright owner and Wikipedia for third-person use under the conditions of the Creative Commons Licence. Should any copyright holder of any of the illustrations included on ShukerNature not wish those illustrations to be included here, please contact me and I shall of course remove them. All original content on this blog is the exclusive copyright of Dr Karl Shuker, with all rights reserved by him, and must NOT be reproduced in any manner without his strict permission in writing.